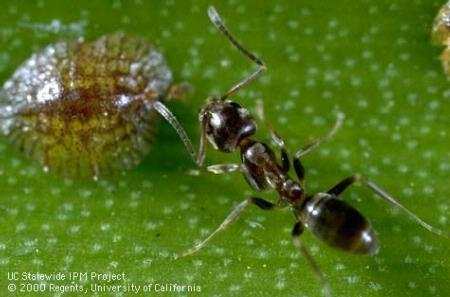 Argentine Ant is a very aggressive invader that disrupts native ant populations and at the same time disrupts biocontrol agents that help control, such pests as scale, aphids and mealy bugs in citrus and other tree crop species. They defend these sugar producing sources of energy from attack by predators and parasites, like parasitic wasps and predatory assassin bugs and lady bugs. They increase the threat of Asian Citrus Psyllid and HLB by protecting the psyllid from attack by parasitic Tamarixia. A careful, well placed chlorpyrifos spray has been used to control Argentine ants. A trunk spray and/or spray on irrigation lines has disrupted their activity with minimal impact on beneficials. This protectant spray keeps the Argentine ants out of the canopies and allows the beneficials access to the pests. Controlling this one species, can have significant impact on biocontrol and the whole need for controlling pests. Chlorpyrifos is a pesticide that might lose registration and other materials and techniques have been examined over the years as a replacement. A recent procedure has been proposed and used successfully on Santa Cruz Island to control introduced Argentine ants. The ant has caused tremendous disruption in biocontrol and it appears to have been controlled by this new technique. We are in the process of evaluating it's use in citrus. 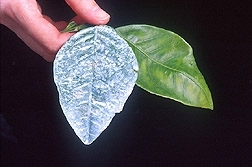 The application technique, costs and materials would need to be modified for use in citrus orchards. The current procedure would not be considered an organic practice since the pesticide material is not registered organic. It might be possible to use an organically registered material in the future. The Argentine ant (Linepithema humile) is a widespread, abundant and ecologically disruptive invader that is present throughout major portions of coastal California and on half of the California Channel Islands. On Santa Cruz Island, the Argentine ant had invaded about 2% of the island's area in four distinct locations as of 2012. Given the negative ecological effects resulting from Argentine ant invasions,we sought to develop a cost-effective method of eradication. Here, we describe the results of large-scale, field-tested methods for Argentine ant eradication and post-treatment detection. Our eradication protocol employs a novel toxicant-delivery system: an aqueous solution of sucrose and 6 ppm of thiamethoxam mixed with hydrating polyacrylamide beads. Ants feed on the solution present on the bead's surface for about 24h after which time bead dehydration prevents feeding. We distributed hydrated beads by helicopter over 74 ha of infested areas plus a 50-m buffer on 14 occasions between June 2013 and September 2014. Treatments reduced Argentine ant activity to subdetectable levels within four months. In 2014, we conducted a high-intensity detection protocol using lures (n = 55 363) in areas treated in 2013.This effort did not detect Argentine ants. In 2015, we conducted a medium-intensity detection protocol using lures (n=2250) in areas treated in 2013 and 2014 but not searched in 2014; this sampling effort did not detect Argentine ant activity except for a single remnant infestation (c.0.3ha in area),which was retreated in2015.Thec ost of treatments was approximately $1400 per ha; this cost is comparable to other ant eradication efforts. The cost of our preferred detection method, which used lures spaced every 10m,was $500 per ha.These results demonstrate sufficient protocol efficacy to justify expansion of treatments to other infested areas in ecologically sensitive areas. Psyllids as a pest group have very few specific predators that can be used in biocontrol. Instead there can be some control by generalist predators, like minute pirate bugs, spiders, lady bug beetles and predatory thrips. Predation, though, does not completely remove the pest, in this case Asian Citrus Psyllid. Leaving a few infected ACP to spread the HLB bacteria to trees, though, is a major problem because tree infection only requires a small amount of bacteria to eventually cause tree death. Chemical control is being used in most situations for major control of the insect, and thereby the spread of any insects infected with the bacteria causing Huanglongbing. It turns out that pesticides that supplement more traditional modes of action can also be used. Kaolin is a white nonabrasive fine-grained mineral that when is sprayed on the plants forming a particle film. This compound is well known to suppress several species of insects in different crops due to host selection interference. A recent study in Brazil investigated the influence of two kaolin formulations on the landing and feeding behavior of ACP. Both kaolin formulations had a repellent effect and interfered with the feeding behavior of ACP on citrus. Kaolin reduced the number of psyllids and protected the citrus plants from insect feeding. Frequent spray applications on the border of the farm could be an important strategy to reduce HLB spread. Spraying to control ACP spread on orchard border trees is often critical because this is where infestations often start. Kaolin won't be a replacement for other pesticide sprays, but could be an added tool for controlling the pest and spread of the disease - another integrated management tool. Eco Apple. Lodi Rules. SIP Certified. Whole Foods Responsibly Grown. Salmon Safe. 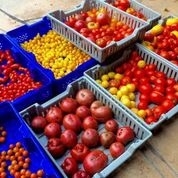 Sysco Sustainable. And that's just the beginning. Let's start with the good news – there's widespread agreement that eco labels and sustainable ag programs do improve farming practices, including IPM adoption. 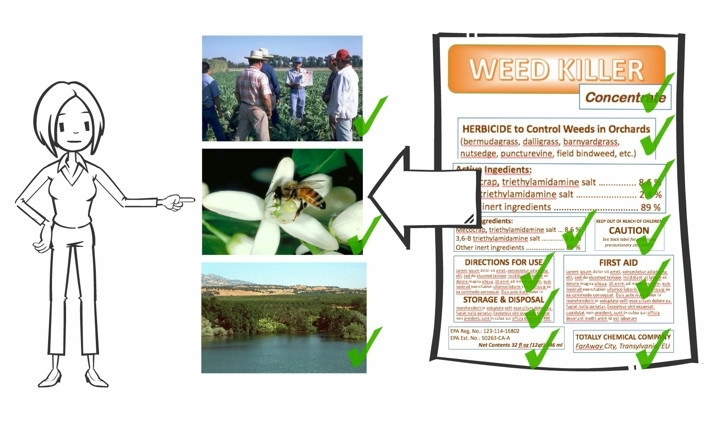 A list of prohibited pesticides is one feature that reduces pesticide risk in many of the programs. The United States Department of Agriculture's Certified Organic program is perhaps the most restrictive (and well known), but many other programs also limit or ban the use of the most-toxic pesticides. 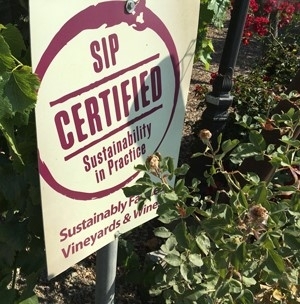 In the Sustainability in Practice, or SIP Certified program that began in vineyards in California's Central Coast, the banned pesticide list is drawn from the California Department of Pesticide Regulation's most hazardous categories, including those known to cause cancer or reproductive harm, as well as toxic air pollutants and water contaminants. Knowing a program's rules are important because the programs are different and promote different outcomes. Organic focuses on restricting the use of synthetic fertilizers and pesticides. Salmon Safe in the Northwest was designed to protect the region's waterways and wildlife. 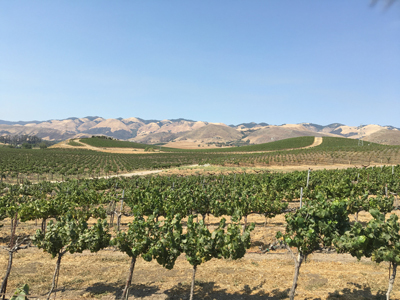 And SIP and Lodi Rules are broadly focused and include standards ranging from air quality to farmworker protection. Jim Strollberg of Maverick Farming and Hampton Farming manages about 1,600 SIP-certified acres for multiple owners, as well other farms that aren't in the program. Whole Foods Market's Responsibly Grown program is a good example. With “good,” “better” and “best” subcategories, Responsibly Grown set minimum standards and anyone wanting to sell to the store has to achieve them to be considered. It's happening in wine as well, Vukmanic Lopez said. And it's not just field labor. Those aren't easy answers. Consumer Reports has created a food-focused website at greenerchoices.org that compares labels and their requirements. It's a useful comparison tool, but misses some critical information. Salmon Safe, the certification program in the Pacific Northwest, gets downgraded because it doesn't “prohibit toxic pesticides.” Which is true – to a point. Salmon Safe, which focuses on water quality and protecting salmon from pesticide harm, doesn't ban certain products outright, but it does specify what can be used near streams and how it can be applied. And it's had some remarkable successes. In the Milton-Freewater area in eastern Oregon, growers adopting Salmon Safe practice helped reduce pesticide pollution significantly. The Greener Choices site also generally recommends organic, without noting some of the limitations of that certification program. For instance, organic rules allow one field on a farm to be managed organically, while other fields on the same farm can be managed with any registered pesticide. Salmon Safe requires whole farms to meet its certification standards, because the whole farm is part of the watershed it's trying to protect. And SIP has standards for farmworker protection that prohibit some dangerous pesticides that organic growers could use on their non-organic parcels. McIntyre also thinks the organic standards don't provoke the level of thought well-written sustainability metrics can. “We need to try to develop the metrics that work best and that are relatively simple for growers to use so we don't burden them with regulations that don't benefit the environment,” he said. Those criteria fall into two basic categories – practice-based criteria or outcomes-based criteria. Practice-based criteria ask about specific farming practices: Do you scout for pests? Do you use thresholds to decide when to spray? Outcomes-based criteria, also known as performance-based criteria, doesn't ask what you did, it asks for measurable end results: How much water did you use per unit of crop? How much fertilizer did you use per unit of yield? It's creating outcomes-based criteria that gets tricky. For Scrivner, it's not an academic question. He's designing a new certification program for vintners in the Walla Walla Valley of eastern Washington and Oregon. They've been certified by the LIVE Program – Low-Input Viticulture and Enology – but feel that program is too geared toward the cooler, wetter Willamette Valley than their conditions. And that gets back to having so many certifications that it's hard to know what matters.